Home > Google News > Google Web Transcoder Killed Off? Google Web Transcoder Killed Off? 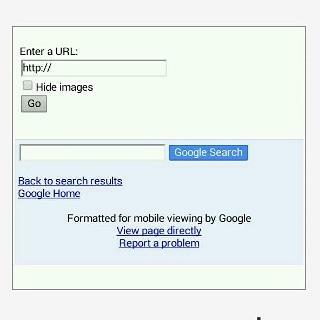 Back in 2006, Google built a feature to make web sites load faster on mobile devices named Web Transcoder. It was specifically designed for those old feature phones and not the smart phones. But last week, it seems the feature went missing. If you try to access it at http://wap.google.com/gwt/n it 404s. Google's John Mueller posted in a Google Webmaster Help thread this morning saying "Thanks for posting -- I'll double-check with the team!" So it does seem to be gone. Truth is, I am not sure how much use it got. Which is the best method of marketing?